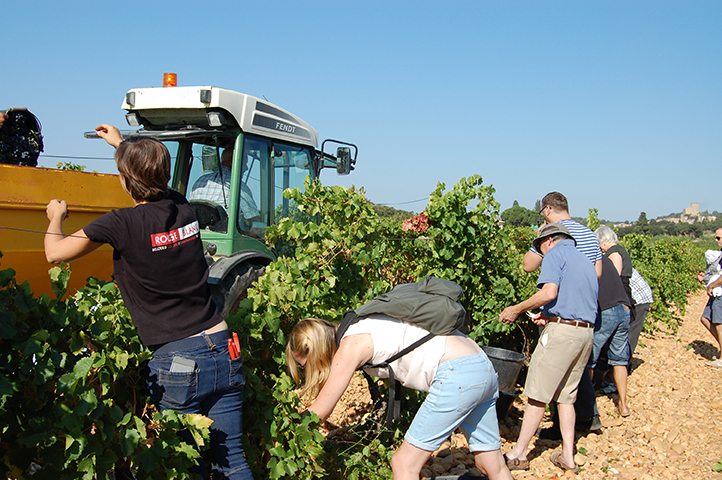 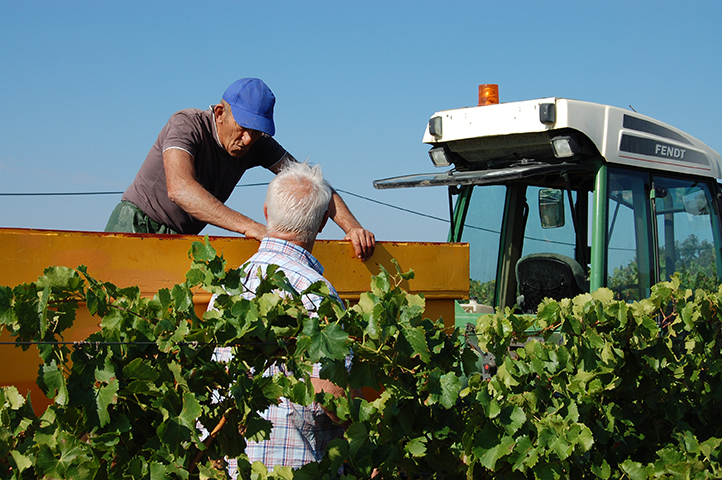 One can say that this harvest picnic, organised by the Châteauneuf-du-Pape Winegrowers’ Association with the help of the local Tourist Board and which has been running since 2011, is now becoming a tradition! 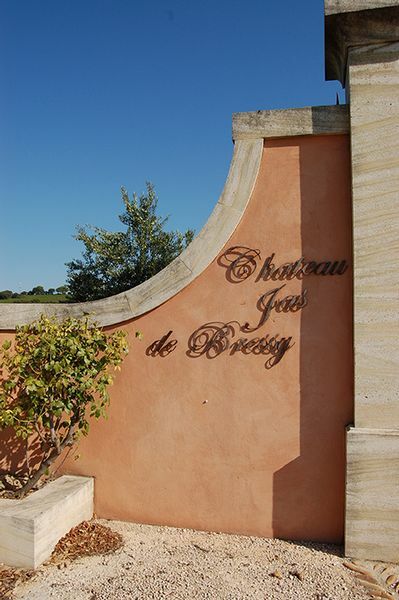 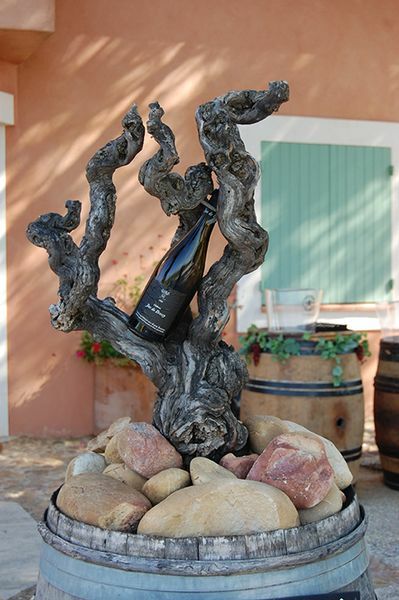 This year, it took place on Saturday 24 September, on the national « Fête de la Gastronomie », at the Château Jas de Bressy –custom has it that it is hosted each year by a different winery. 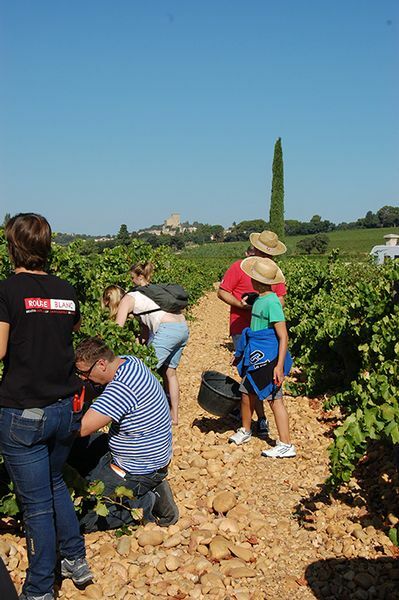 About 50 people from various nationalities turned up to discover the vineyards of Châteauneuf-du-Pape. 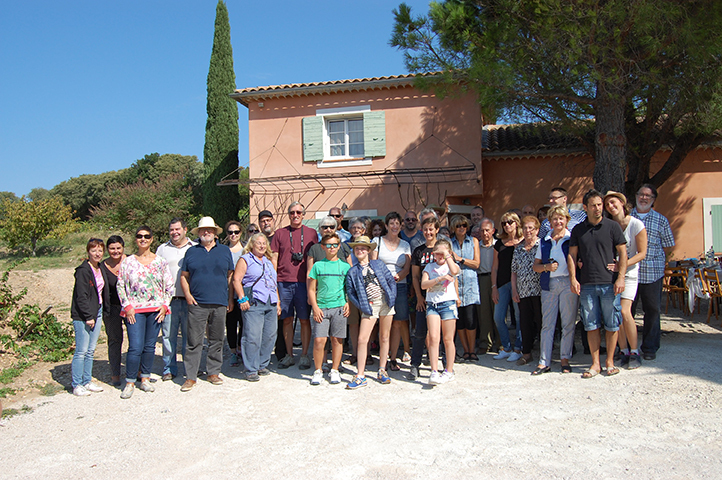 They were given a warm welcome by sisters Amélie and Gaëlle Barrot, owners of Jas de Bressy, and started the day with a hearty breakfast. 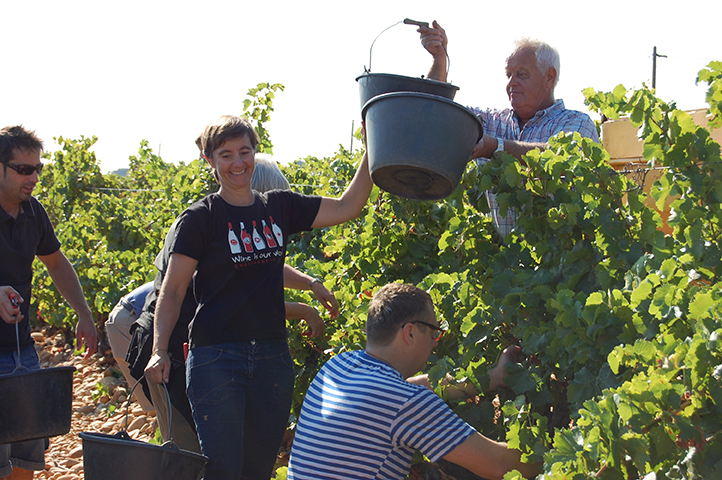 Half the group then proceeded to visit the cellars while the other half had a try at harvesting the surrounding vines. 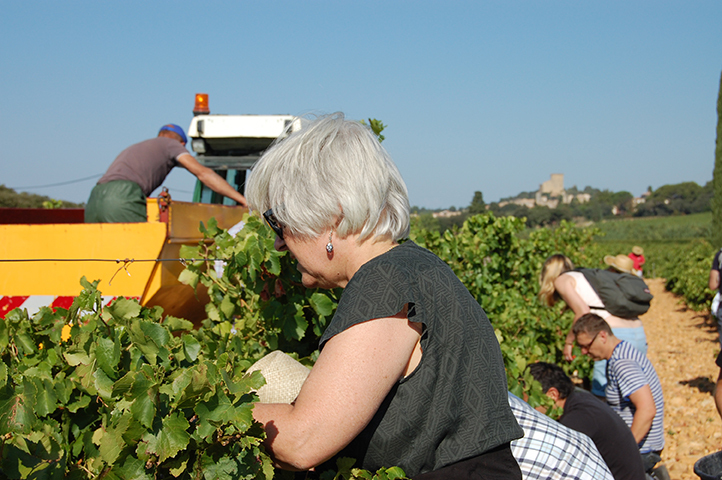 It should be recalled that the harvesting here is done exclusively by hand, as is required by the Châteauneuf-du-Pape AOC rules. 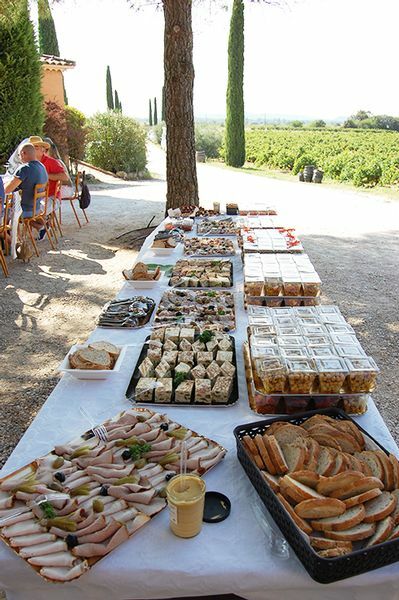 After effort came comfort, in the form of a large traditional picnic, prepared by Bruno Biscarel, the local butcher from nearby Courthézon, and paired with the wines of the estate. 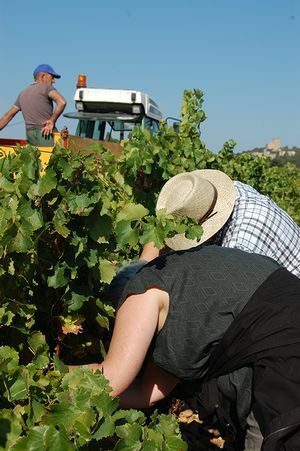 To end the day, the visitors had an opportunity to gain an insight into the soils and “terroirs” of the appellation thanks to a guided tour organised by the tourist board.